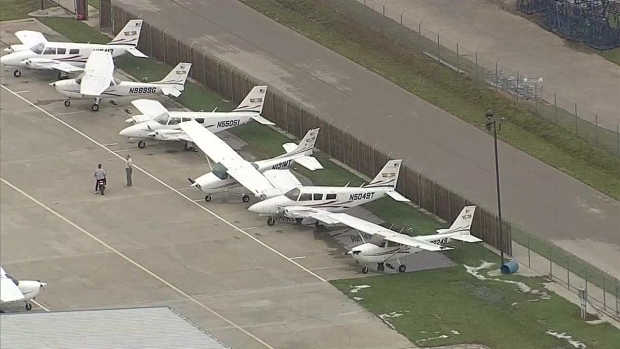 Powerful straight-line gusts from overnight storms tossed small airplanes and damaged hangars at Denton Enterprise Airport early Tuesday morning. 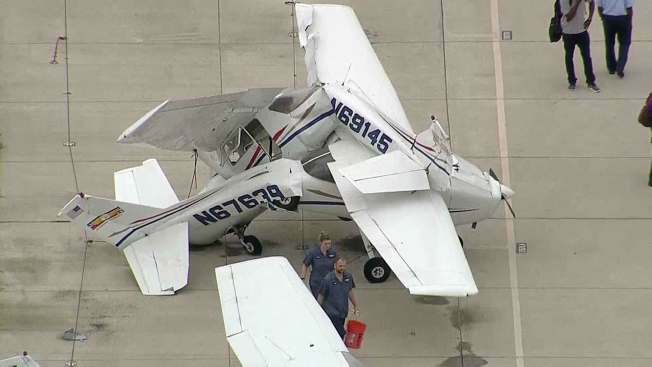 Texas Sky Ranger surveyed the damage after daybreak Tuesday. Hangar doors appeared to be blown off their tracks and some planes were flipped upside down. Preliminary information suggested the damage was caused by a microburst of gusts up to 70 mph, according to NBC 5 Meteorologist Grant Johnston. The National Weather Service dispatched survey teams to examine the damage Tuesday.